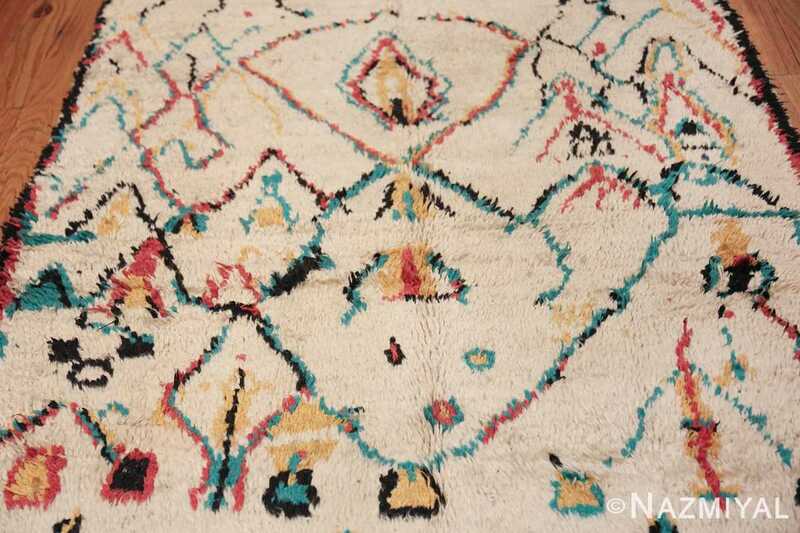 This fanciful and cheerful vintage Moroccan rug would be a delightful addition to any modern, minimalist, or modern Scandinavian design that needs a hint of whimsy. The bright crayon colors in reds, blues, and yellows make a striking contrast against in ivory background. 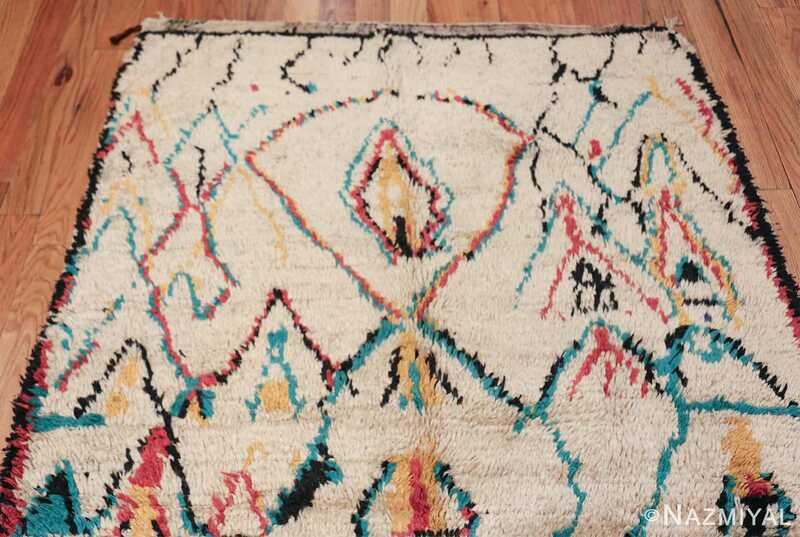 The colors and designs of this vintage mid century modern rug may take you back to your childhood, but the story they have to tell is fascinating and makes it an important piece of mid-20th century artwork. Mid century Moroccan Berber carpets became an important part of interior design in America and throughout Europe. 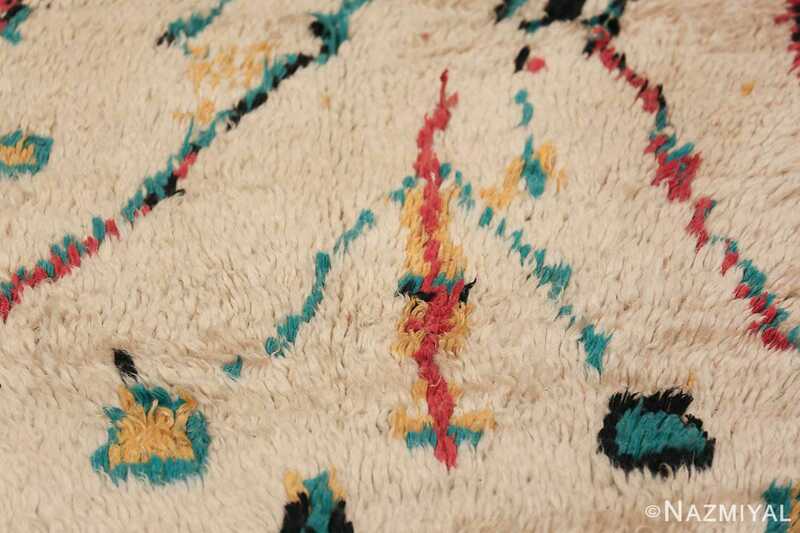 They played an important role in modern Danish, Mission, and Eames era designs. 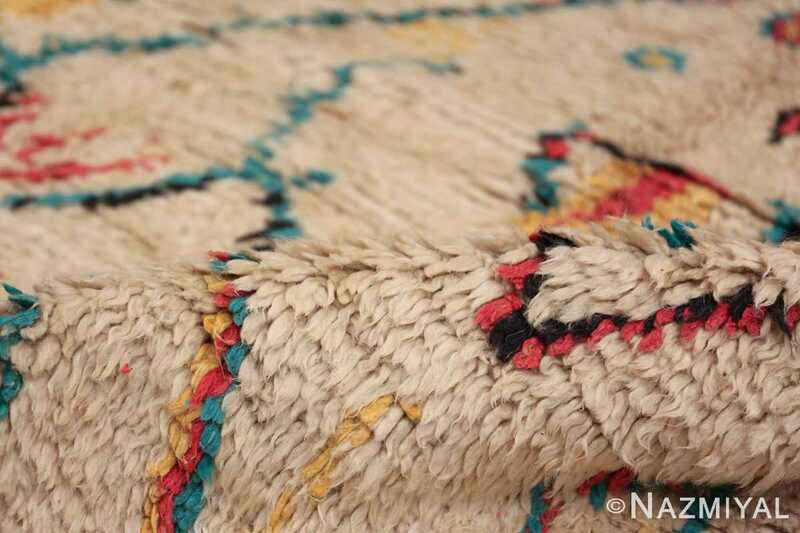 Their primitive feel made them highly collectible rugs in their day, and they are even more collectible in modern times. 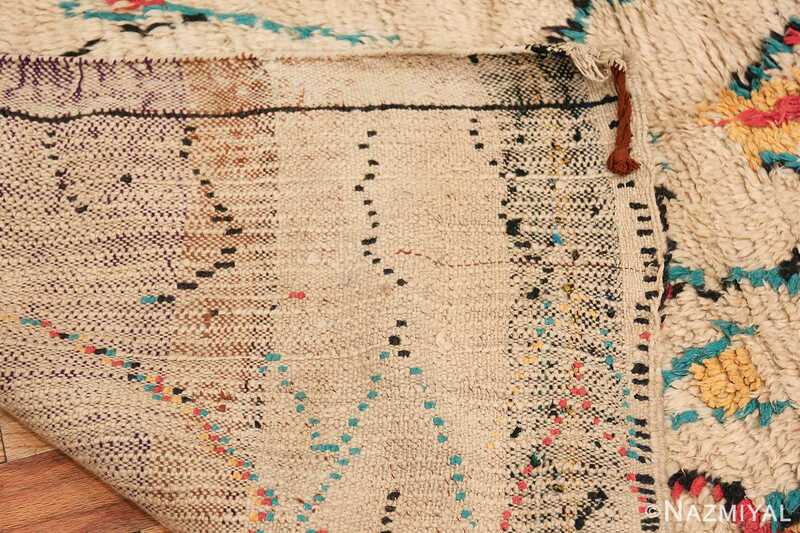 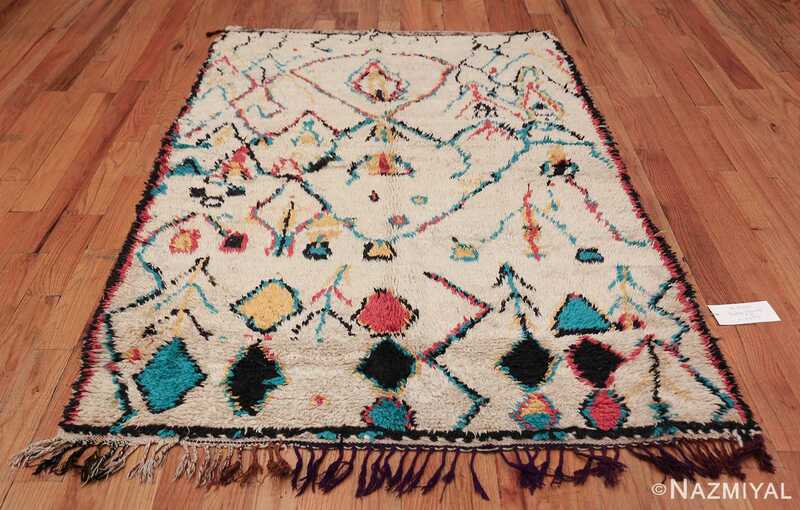 Each of the rugs from Morocco uses symbols and color to tell the story of the life of the person who wove it. 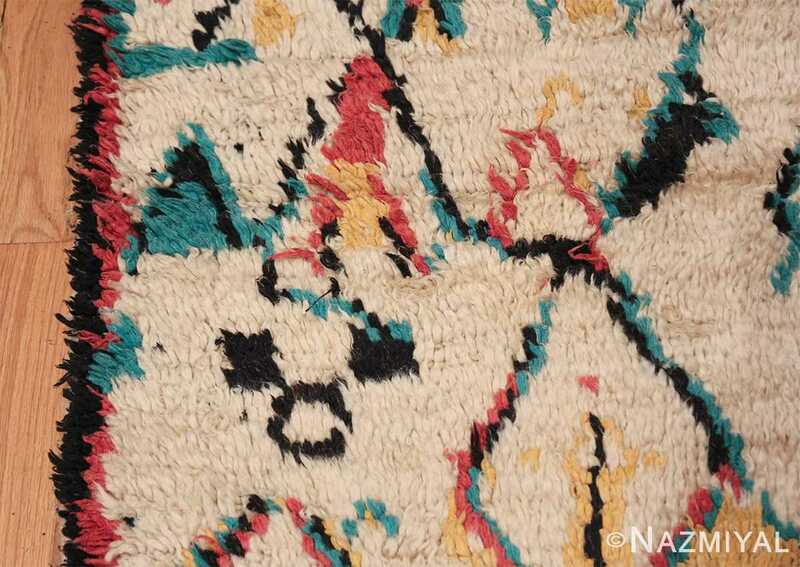 Although the symbols and meanings behind them may have been lost through the decades, the beauty and importance of the rug is a historical piece have only increased its appeal as a part of modern interior design. 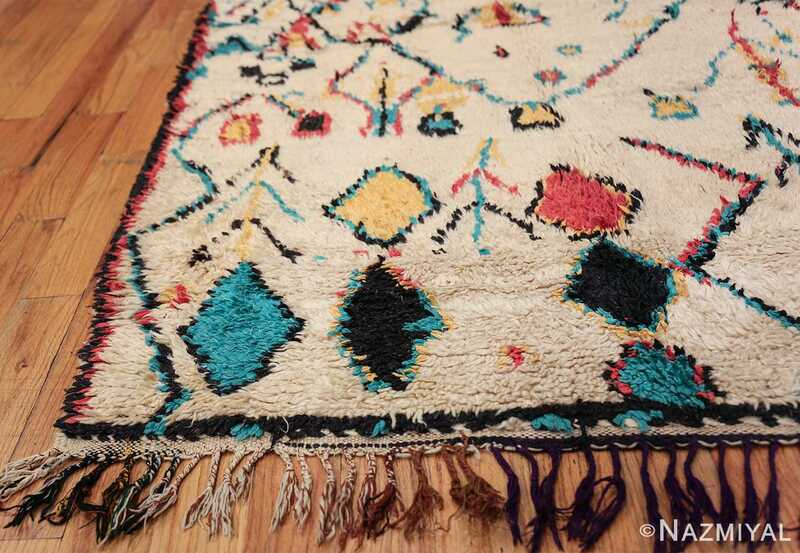 This colorful small size vintage Moroccan rug will add cheerfulness and a sense of joy to any space that it adorns. 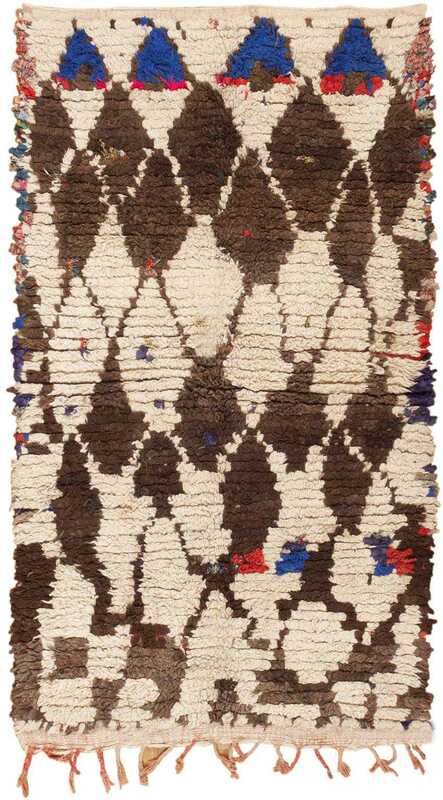 It would be an excellent addition to any contemporary design from minimalist to modern Scandinavian. 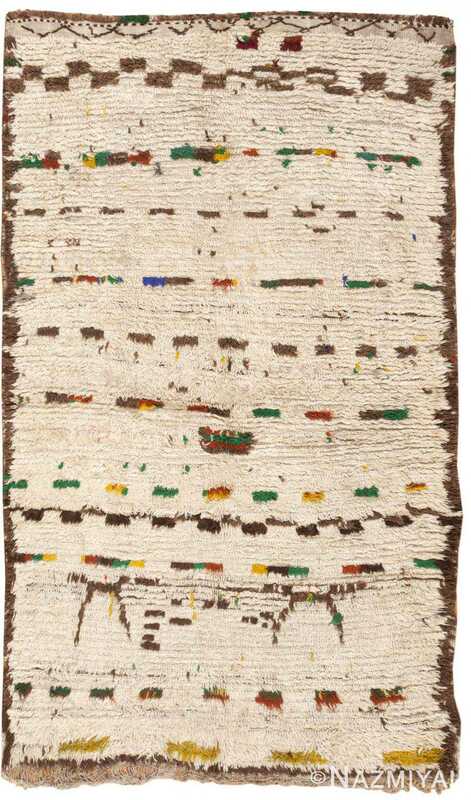 One thing is for certain, it will be a conversation piece in any home or office space. 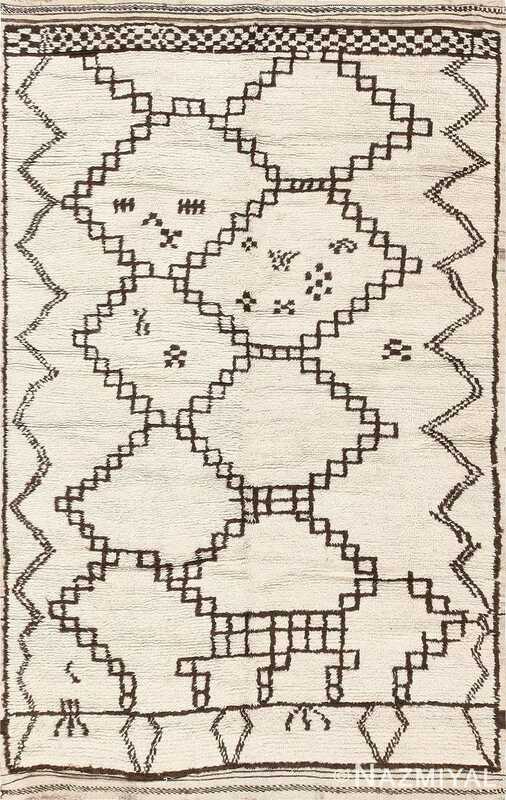 This charming, boldly styled vintage mid-century Moroccan rug features a lively latticework pattern of robust argyle lozenges set over a sumptuous ivory background. 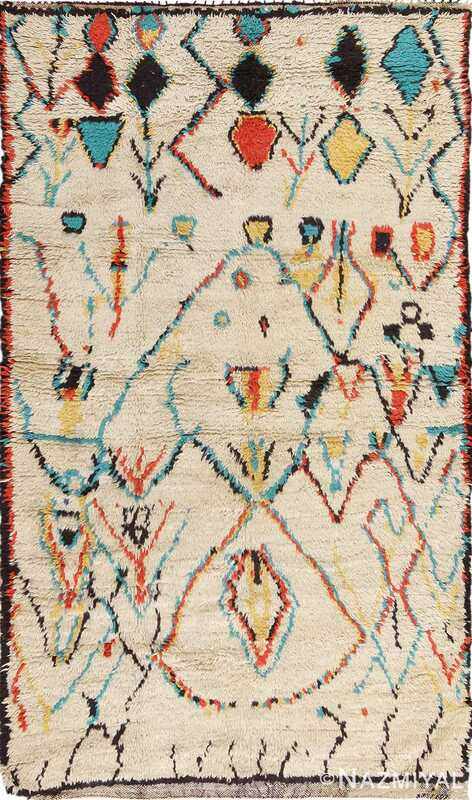 Abstract checkers and charming bursts of color punctuate the soft neutral field and stark minimalist composition of this luxurious vintage rug from Morocco.